Clydene Dechert conducted for the first time as a child of four when she directed Sousa’s “Liberty Bell March” with the Allentown Band of Pennsylvania, which, at the time, boasted twenty six former Sousa musicians. She is the third generation of a musical family and began the study of the piano at age four. Ms. Dechert studied percussion at the Aspen School of Music and was a member of the Aspen Festival Orchestra. She studied conducting with Darius Milhaud in a class with James Levine and Leonard Slatkin and continued with Elizabeth Green of the University of Michigan and with Philip Greenberg, former associate conductor of the Phoenis Symphony Orchestra. Clydene has served as instrumental music director for the Scottsdale Symphony Youth Division, Associate Conductor of the Scottsdale Symphony Orchestra and Conductor of the Scottsdale Chamber Orchestra. She has also performed in the percussion section of the Phoenix Symphony. Since coming to Prescott, she has conducted “Oliver”, “A Chorus Line”, “Damn Yankees”, “Little Shop of Horrors”, “The King and I”, and “A Funny Thing Happened on the Way to the Forum”. She has served as chair of the Scholarship Committee of the Prescott Fine Arts Association. 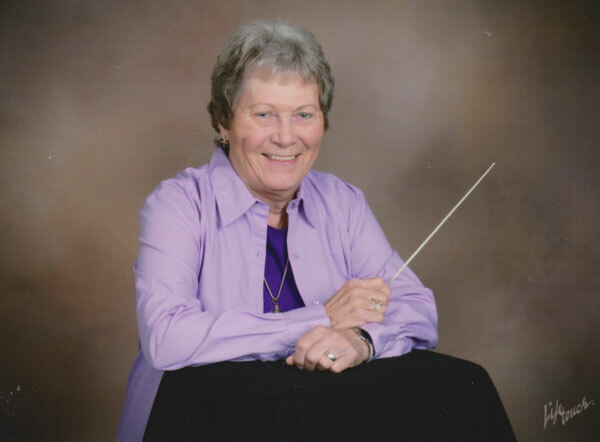 In addition to many other local musical endeavors, she is currently principal timpanist for the Prescott Pops Symphony and has served as guest conductor. In 1997 along with Bob Boorn, Clydene contributed to the start-up of the Central Arizona Concert Band, which has grown into a semi-professional organization of some sixty musicians. The Band regularly performs during the Summer on the Courthouse Square and in several formal concerts throughout the season.